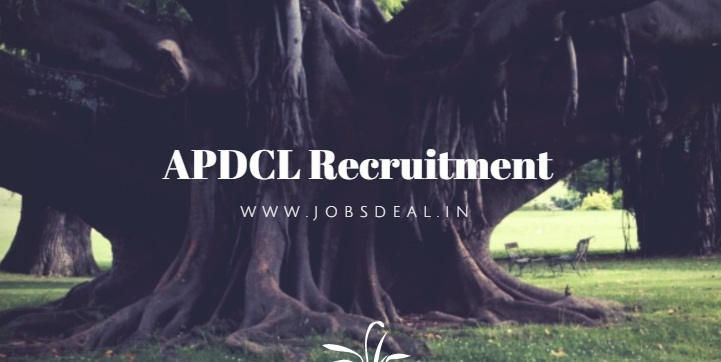 Assam Power Distribution Company Limited which is also famously known as APDCL wants to recruit the best candidates for filling up the empty posts of Assistant Manager (AM) and Junior Manager (JM) and to do that, it has published an advertisement on its website. The empty posts are of Group-A and Group-B and overall posts are said to be 274. If you are interested, make sure you filling up online form before the deadline which is 20th October 2017. Rest of the details are being covered below. The selection shall be executed on Written Exam, Viva-voce/Interview. The pay scale for AM post shall be Rs.22552/-, whereas, it would be Rs.16056/- for the post of JM. Well, if you are interested in Assistant Manager (AM) post, then you must hold a Graduate degree in various discipline as mentioned in the advertisement. But, if you are interested in Junior Manager (JM) post, you should have a Diploma in relevant trades as given in advertisement. For AM post, the age limit is 21 years to 38 years, whereas, for JM post it is 18 years to 38 years. Fee of application is Rs.500/- for unreserved category candidates and it is Rs.250/- for reserved category candidates. To apply, what you need to do is look up the right web link which is why we have given them all here (see links below). At first, you should visit the advertisement link and then you have to get the 'Apply Online' link to fill up application form.